#Tech – Setting the trend. 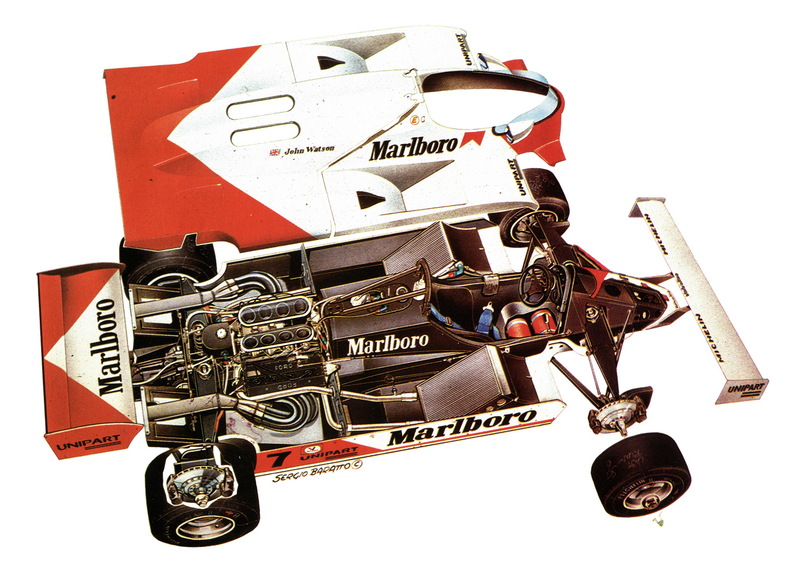 The 1981 McLaren MP4 – Historic Motor Sport Central. If you want to remember a day in the so-called “modern Formula 1” era, the 6th of March 1981 can be regarded as one of them. 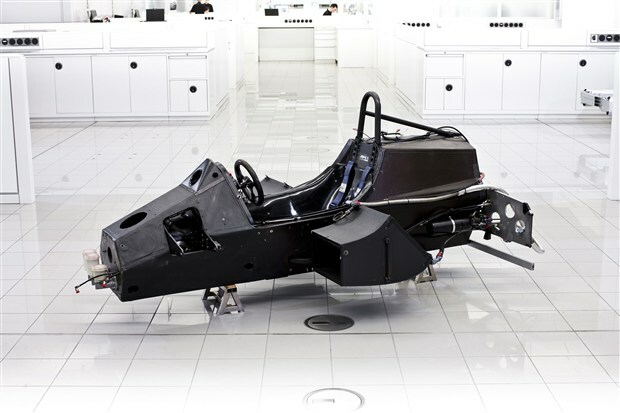 On that day, McLaren unveiled the MP4-1 Chassis at Silverstone. It was the first tub built of carbon-fibre and that was the start of an all new era for Formula 1. The MP4-1 was designed by John Barnard and built by the McLaren Group with the help of Hercules Aerospace (U.S.A.). The design was a revolution in terms of rigidity and driver protection as carbon-fibre had a strength that aluminium couldn’t match. An aluminium tub consist of various panels which are mechanically fixed together to form a structure. Carbon-fibre has the particularity to be molded all-together. It forms a unitary structure and that’s the main difference and strength of the material and technology. The first version (MP4-1) used in 1981 had a conventional Ford DFV unit as its powerplant but in the later versions, this powerplant was to be replaced by the TAG-Porsche Turbo. This would lead the team to the 1984 World Title with Lauda and the MP4-2 evolution as well as the 1985 World Title, this time with Frenchman Alain Prost and the MP4-2B evolution. Another testimony to the strength of the John Barnard design and carbon-fibre use is the video below. John Watson was able to walk away from this fiery crash during the 1981 Italian GP at Monza with only minor bruises. Next Next post: #KingOfTheMountain – The Porsche 909 Bergspyder.